The Harmony at Home Berkshire office is owned and personally run by Mrs Philippa Day. Philippa is a dedicated Chiltern trained NNEB Nanny with over 20 years of exemplary experience. Philippa lives in Newbury in the heart of Berkshire with her husband and two school aged children and as a working mother herself completely understands the demands of busy working parents. Philippa aims to make the whole transition for both parents and nannies run as smoothly as possible. Philippa provides a wide range of childcare services for parents throughout the region making use of our extensive range of experienced and suitably qualified Nannies and Child carers, as well as recruiting specifically to meet your personal child care requirements. 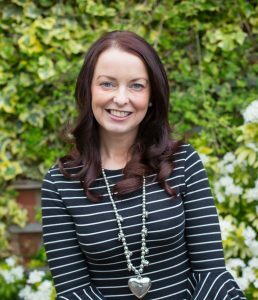 Philippa’s sole aim is to provide a bespoke service taking into consideration each individual’s needs in a sensitive and professional manner and always with the highest levels of attention to detail. “Thanks for helping to find our new nanny for our children. The quality of candidates far exceeded our expectations.” Sarah, mother of three, Berkshire. “Best Nanny Agency in Berkshire. Philippa has a knack of matching potential nannies to the right family. She is always so helpful and friendly, and works very hard behind the scenes. I work as a nanny and Philippa has just secured me a wonderful position with a lovely family . I always recommend this agency to other nannies looking for work.” Sara May, Berkshire. “Efficient, rapid and polite. I would highly recommend Philippa at Harmony at Home Berkshire. I put my advertisement in early and I was never made to fee like I was too early, Philippa reassured me that it was a good idea” Caroline Wilcox, Berkshire. “Philippa provided me with an excellent service. Harmony at Home Berkshire were better at finding candidates than other agencies and engaged with me as a customer. The information provided by Philippa has been very useful.” Chloe Payne, Berkshire. Nannies, please search all the latest Nanny Jobs in Berkshire here. Berkshire Services Provided: Full Time Nannies, Nanny PA’s, Nanny Jobs, Nanny Recruitment, Nursery Recruitment, Mother’s Helps, Emergency Childcare, Holiday Nannies, Mobile Crèche (Events, Occasions, Functions), Babysitting, Night Nannies. Newbury, Thatcham, Reading, Wokingham, Bracknell, Maidenhead, Slough, Windsor, Ascot, Goring, Henley-on-Thames, Crowthorne, Earley, Eton, Hungerford, Hythe End, Wallingford, Woodley, Sandhurst. We can recommend lots of fun activities for families, nannies and children in Berkshire.